The deal: Since 1998, Kristen Porter’s Dyke Night events have been the throbbing heart of Boston’s lesbian scene — which can be a little hard to find if you’re not tuned in. In addition to throwing lady-laden parties worth the monthlong wait, Porter has reliably given 25 percent of her parties’ proceeds to GLBT charities including the Lesbian AIDS Project of Mass., the AIDS Care Project, the Theatre Offensive, and others. Tonight’s installment is also an informal release party for the self-titled debut album of rising Danish pop starlet Oh Land — and the first 10 women to report to the dance floor will score a free copy. 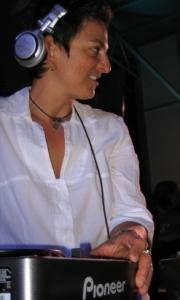 The DJs: DJ Kris Kono (pictured) holds down the decks, with a special guest now and then.